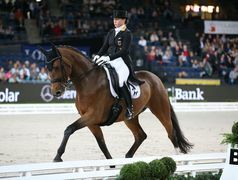 Stuttgart – “Dressage Queen” Isabell Werth celebrated her second success at the 32nd International STUTTGART GERMAN MASTERS Horse Show in the Hanns-Martin-Schleyer-Halle on Saturday. 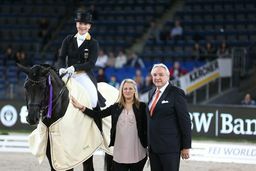 The German claimed victory in the Prize of Stihl, the qualifying class for the Grand Prix Special on Sunday morning, with a ride that earnt her 75.580 per cent points and 3,000 euro. 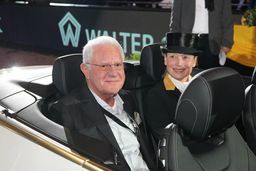 Stuttgart – Riding at the 32nd International STUTTGART GERMAN MASTERS Horse Show in the Hanns-Martin-Schleyer-Halle, multiple winner Isabell Werth (Germany) once again lived up to her status as favourite to leave the strong field trailing in her wake. 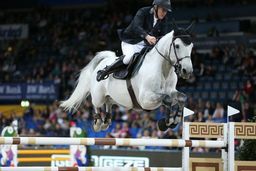 Atop her Olympic horse Weihegold, she amassed 82.8 points.